The Telecom Regulatory Authority of India’s new broadcasting tariff regime has come into effect on February 1. Trai already confirmed that the local cable operators and DTH providers are currently in the process of migrating their customers to new plans based on the new regime. All the service providers already announced their new channel packs and most of the customers are already exercising their options. D2h became the first operator to introduce combo plans based on the new pricing scheme, and now, Dish TV has joined the list. 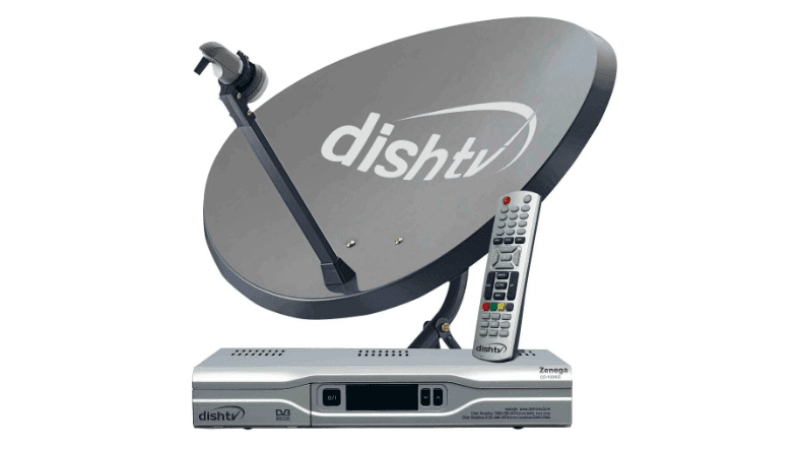 Dish TV, which is also a prominent service provider in the country has introduced combo plans for North and South regions. For the North region, Dish TV is providing five combo plans, while for South regions, the combo plans count differ. As mentioned above, Dish TV has introduced a total of five combo plans for the North region. The combo plans are Dish TV Swagat, Dish TV Super Family, Dish TV Maxi Sports, Dish TV Super Sports and Dish TV Titanium and they cost Rs 213, Rs 265, Rs 306, Rs 386 and Rs 433 respectively. Do make a note that the prices of the combo plans mentioned above are exclusive of GST. Moving onto the combo plans for the South region, Dish TV has introduced two combo plans for each language- Kannada, Telugu, Tamil and Malayalam. The Combo plans for Telugu are Classic Joy Telugu which offers 199 channels and Classic Joy+ Telugu with 216 channels on offer. The Classic Joy Telugu costs Rs 180 while the Classic Joy+ Telugu costs a customer Rs 243. That said, GST will be applicable to every user on the mentioned combo plans. The Combo plans naming scheme is similar to older combo plans, but a Dish TV user will have to select the new combo plan because there are some changes to the plans on offer. The new Dish TV channel packs can be viewed from the company’s website, but it’s currently down for maintenance. Back on January 24, Trai stated that already 40% of consumers have migrated to new tariff channel packs. Dish TV, a couple of days ago, stated that it’s aiming to migrate the majority of its consumers to the new tariff scheme by February 7. The Direct-to-the-Home service provider has already activated new channel packs for the subscribers who exercised the options. Other providers such as Airtel Digital TV, D2h, Sun Direct and Tata Sky are also shifting its customers to new channel packs. Subscribers who did not exercise the options are still able to view the channels because Trai is aiming for a smooth conversation. As of now, there’s no deadline on when the customers will have to opt new channel packs. It’s said that subscribers will be moved to the closest channel pack if they don’t exercise the options for a long period. @rahul Shaw you click on that “100” basic tier to edit. Ur ignorance is not others mistake. But yes it is a tactic to predefine 100 list so every user like you add channnel beyond 100 which brings them extra money.